You are here: Home › Further Reading › JFK Assassination FAQs › Was There a Plot to Kill JFK in Chicago? Thomas Arthur Vallee was accused of threatening to assassinate President Kennedy in Chicago. When a Secret Service agent, Abraham Bolden, tried to publicise the incident, he was arrested and convicted of accepting a bribe. President Kennedy had been due to appear at Soldier Field, the American football stadium just south of Grant Park in Chicago, on Saturday 2 November 1963. 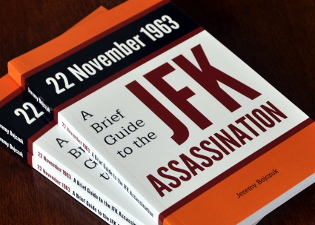 Three days before Kennedy’s arrival, the FBI in Washington, DC, contacted the Secret Service office in Chicago and informed them of a plot to assassinate JFK on his journey to the stadium. According to the FBI, a group of four right–wing extremists, armed with rifles, would probably attempt the assassination while the president’s car was on the Northwest Expressway between O’Hare Airport and downtown Chicago. On Thursday 31 October, a landlady telephoned the Chicago police, telling them that she had discovered four rifles in one of her rooms which was rented to a group of four men. The police informed the Secret Service, who took two of the four men into custody the next day. There are no records of any weapons having been discovered. The two men were interrogated, but refused to admit to being part of a conspiracy to murder the president. An unknown source accused a man named Thomas Arthur Vallee of threatening to assassinate JFK. Although Vallee was not associated with the two men in custody, he appeared to be a right–wing extremist and he certainly owned several guns and a large quantity of ammunition. At about 9 o’clock on Saturday morning, two hours before Kennedy was due to land at O’Hare, Vallee was stopped by the police on the pretext of having committed a minor driving offence, and was arrested. Kennedy’s trip to Chicago was called off at the last moment, ostensibly because of the need for the president to monitor the progress of the military coup d’état in South Vietnam, which had taken place the previous day. The two men in custody were released without charge, and have never been identified. Thomas Vallee was arrested at 9:10am Chicago time, having been under constant surveillance since the previous day. Five minutes later, at 10:15 Washington time, President Kennedy’s press spokesman, Pierre Salinger, announced that the visit to Chicago had been cancelled. The decision to cancel the trip had presumably been made several minutes earlier. The timing has led some commentators to conclude that Vallee was allowed to remain on the streets until he was no longer required to perform his unwitting role as designated patsy. Black’s main source was a former Secret Service agent, Abraham Bolden, who was also interviewed by James Douglass for his book, JFK and the Unspeakable: Why He Died and Why It Matters , Orbis Books, 2008; see pp.200–207, 213–217. Abraham Bolden claimed that the Secret Service had not informed the Warren Commision of the events in Chicago. When he attempted to contact J. Lee Rankin, the General Counsel of the Warren Commission, Bolden was arrested and charged with accepting a bribe. He was convicted after a retrial, and was sentenced to six years in prison. Bolden claimed that he had been framed. He had been convicted on the word of two known counterfeiters, one of whom later admitted in court that he had committed perjury when testifying against Bolden. John Delane Williams, ‘Review of The Echo From Dealey Plaza ,’ Dealey Plaza Echo , vol.12 no.2, July 2008, pp.51–54. Frederick Lowe, ‘New Book Explores Racism and the US Secret Service,’ North Star News , 25 May 2014. The House Select Committee on Assassinations investigated Bolden’s account of events in Chicago. It pointed out that “no agent who had been assigned to Chicago confirmed any aspect of Bolden’s version”, which it found to be of “questionable authenticity” ( HSCA Report , pp.231f). Did Lee Oswald Shoot at General Walker?